Ham Radio Outlet has a holiday sale on the pro (metal case) version of the SDRplay RSP2. The price is $172.95 ($20 off regular price). Click here to check out this deal at HRO. This entry was posted in Deals, News, Software Defined Radio and tagged Deals, Ham Radio Outlet, HRO, Radio Deals, SDRplay RSP2, SDRplay RSP2 Pro on December 9, 2017 by Thomas. Ham Radio Outlet has the SDRplay RSP2pro in-stock for $192.95. As a reminder, the SDRplay RSP2pro is the version enclosed in a full-metal case for maximum RF shielding. 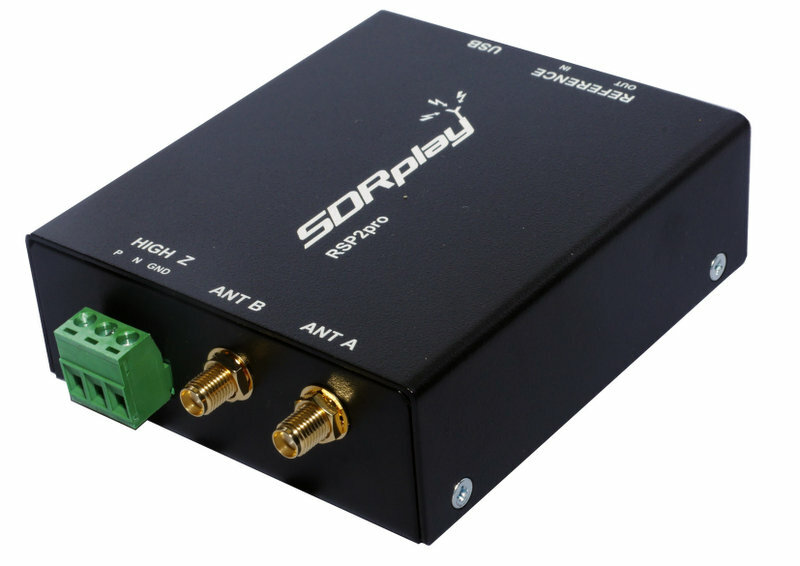 Like the SDRplay RSP2 it has three software selectable antenna connections (long wire and two SMA), whereas the original SDRplay RSP1 has just the one SMA connector. This entry was posted in New Products, News, Retailers, Software Defined Radio and tagged Ham Radio Outlet, HRO, Ken Hansen N2VIP, RSP2, SDRplay, SDRplay RSP2, SDRplay RSP2 Pro on January 30, 2017 by Thomas.